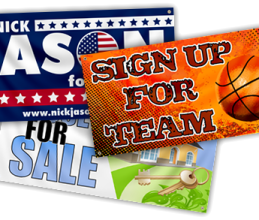 One of a kind custom sign, complete package. WOW your customers with LED lighting, not just a sign but a piece of art! HP Scitex FB500 and FB750. 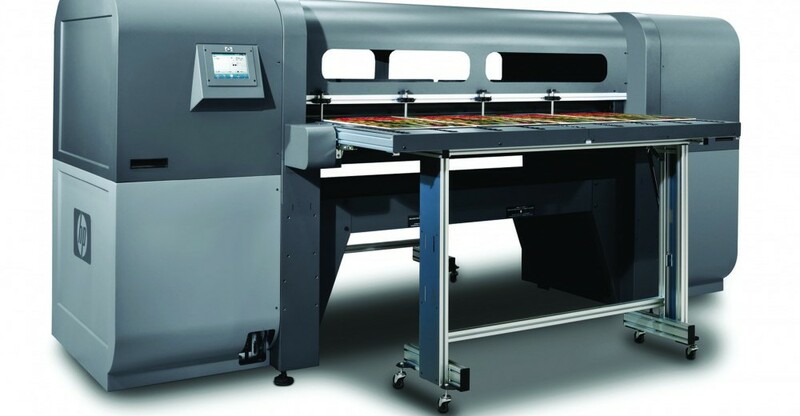 With a substrate size of 98” width x 2.5” thick and an unlimited length, the 6-color printer has a number of options including white ink, roll-to-roll and it’s fast speed and dry times, this flatbed can produce beautiful large format and POP displays and graphics on a variety of rigid substrates. Perfect for both indoor or outdoor use, it can image on plastic, glass, metal, wood and many other rigid surfaces. At Victor Printing, we are a trade only printing company with bindery, shipping and mailing services all under one roof. We understand how important quality printing is to your image, your customers, and to your success. Your success is our success. Our commitment to quality truly shows that we sincerely care about you and your customers. 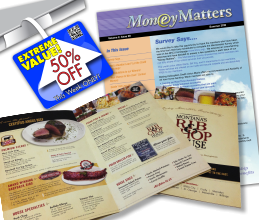 Whether it’s POP printing for a store or branch office, company collateral to promote products and services, or a professional newsletter to promote brand identity, Victor Printing will deliver. 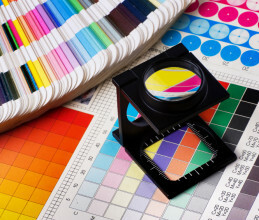 With over 95 years of manufacturing capabilities, we produce accurate, high color print that make any print project stand out. Our digital department delivers what you need, when you need it… and why should you be glad? Options. Options. Options. By changing text, graphics, or images from one piece to the next, allows for mass customization, and options are almost limitless. 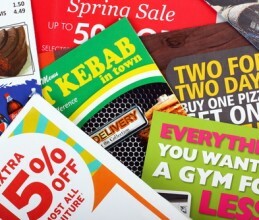 Use Variable Data Printing to drive leads, increase sales and bolster customer loyalty. Presentation folders are more than a way to store information: they are a symbol of your customer’s company. Presentation folders showcase the best of what your customer has to offer, which is why you need to use a top-rated print partner! For almost 100 years high quality products, great customer service & a strong team work ethic have been the building blocks of Victor Printing’s success. Want to see the Victor Printing difference? Send us your printing needs and one of our estimators will give you a quote! It’s as easy as 1-2-3. We would love to show off our unbeatable service and capabilities. Victor Printing’s print-on-demand solution will help you market your business smarter and faster. Select from products like brochures, posters, brochures, booklets, presentation folders, wide format products and more. Place your order online in just a few easy steps! 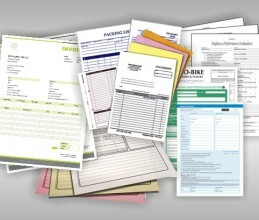 Nothing says "you mean business" like professional custom printed business forms. Give a clients an unforgettable first impression with custom business forms. From design and printing to mailing, we can help in each print project step. Drive response rates with variable data printing that acknowledges customers with personalized greetings and offers. With our cutting edge direct to rigid substrate print technology, we can print on a variety of flat smooth surfaces. Go big and take your message to new heights! 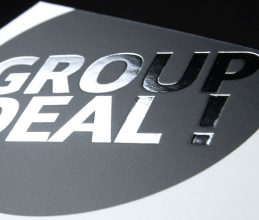 All under one roof – we design, print, manage date, address and facilitate delivery – expediting your direct mail service. Providing cutting edge interactive marketing that will drive traffic, increase revenue, and strengthen brand image. A fun way to increase business! 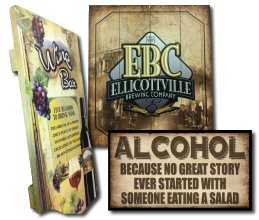 Printed directly onto pine boards, our wood signs create a one-of-a-kind look, that stand out from the crowd. Unique. Rustic. Stylish. Whether it’s perfect binding, specialty coatings, foil stamping, embossing, die cutting or any other print technique, we’ll deliver unique finishing services that will get noticed! The Way of Victor Printing. Ensuring peace of mind for you and your customers. Since we began more than 95 years ago, Victor Printing has grown to be an innovator in the wholesale print industry. Devoted to our dealers as a full-service wholesale printer, our ever-expanding portfolio of products set the benchmark for quality. We are a company of dedicated, passionate employees – some who have been with the company for more than 30 years – who share an appreciation for craftsmanship and the artisan skill of printing. 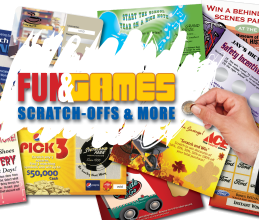 Victor Printing provides high quality custom printed solutions exclusively through our network of qualified dealers. With deep printing expertise and flexible manufacturing capability, Victor Printing enables you to offer your customers a full range of custom printed products.